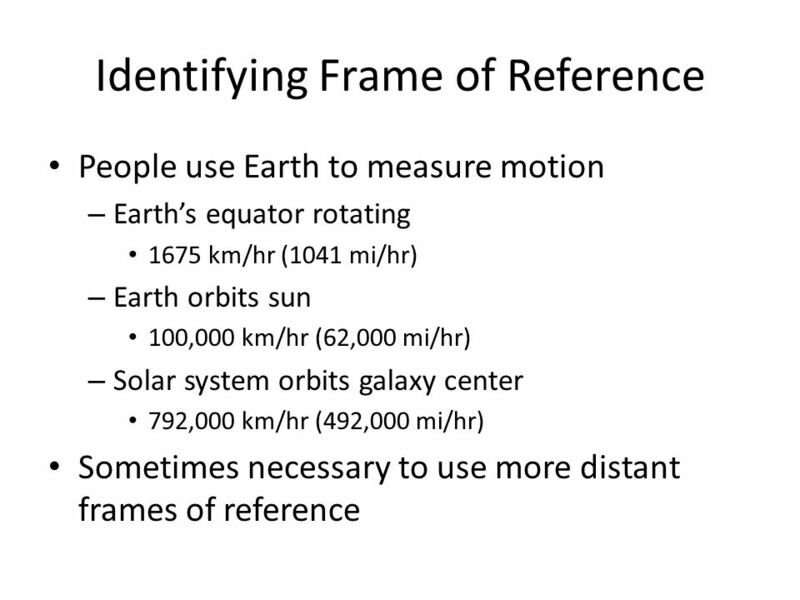 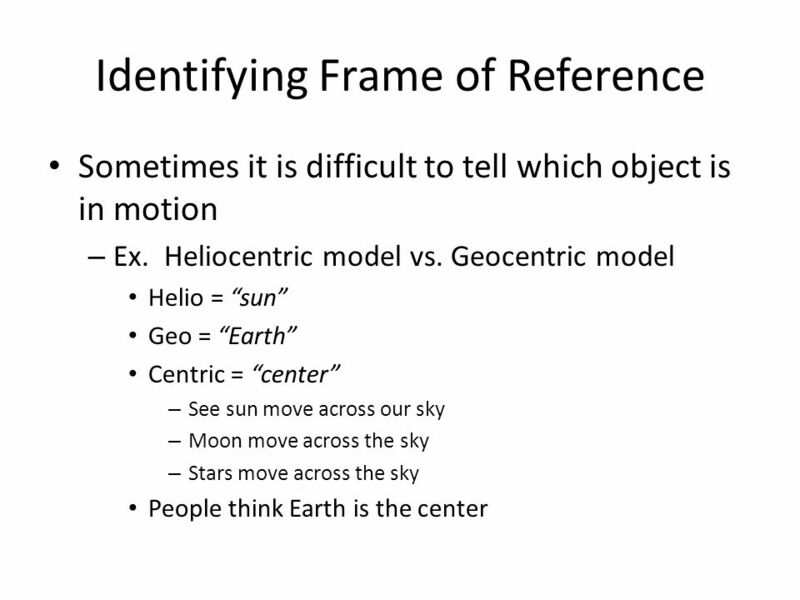 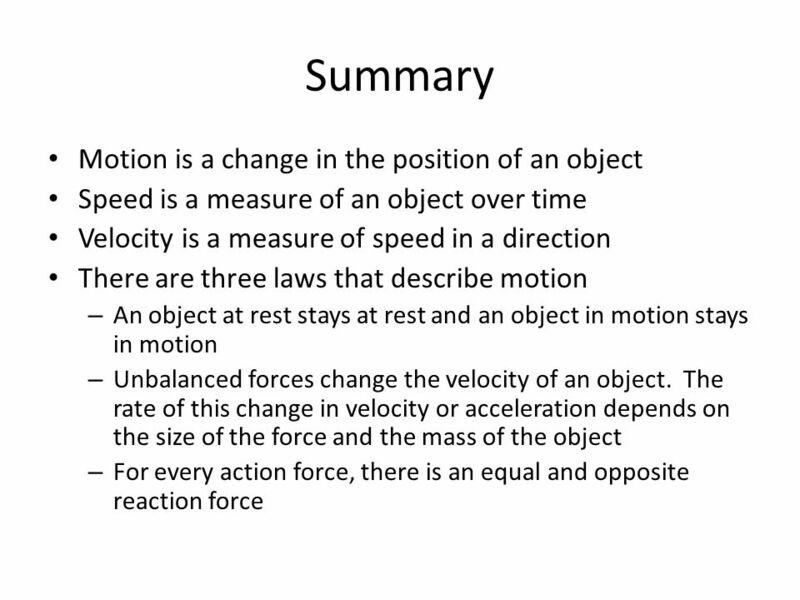 How Can You Describe Motion? 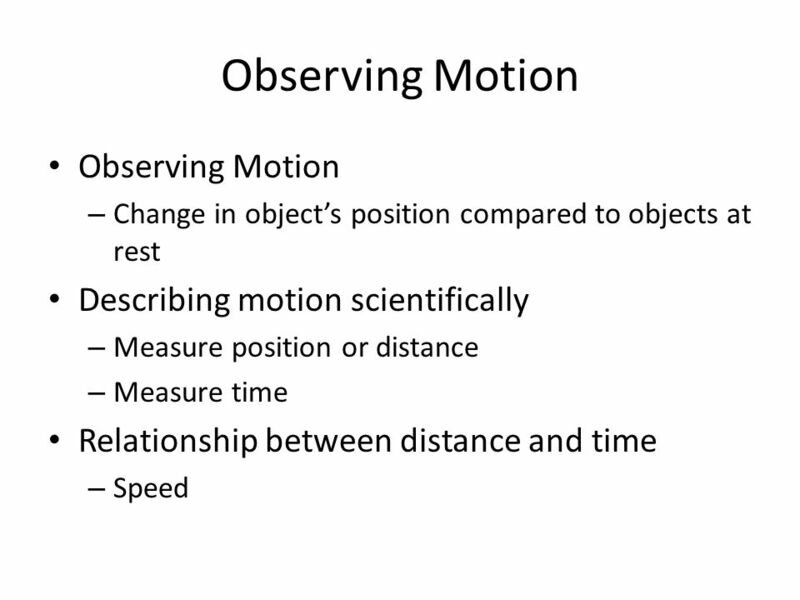 1 How Can You Describe Motion? 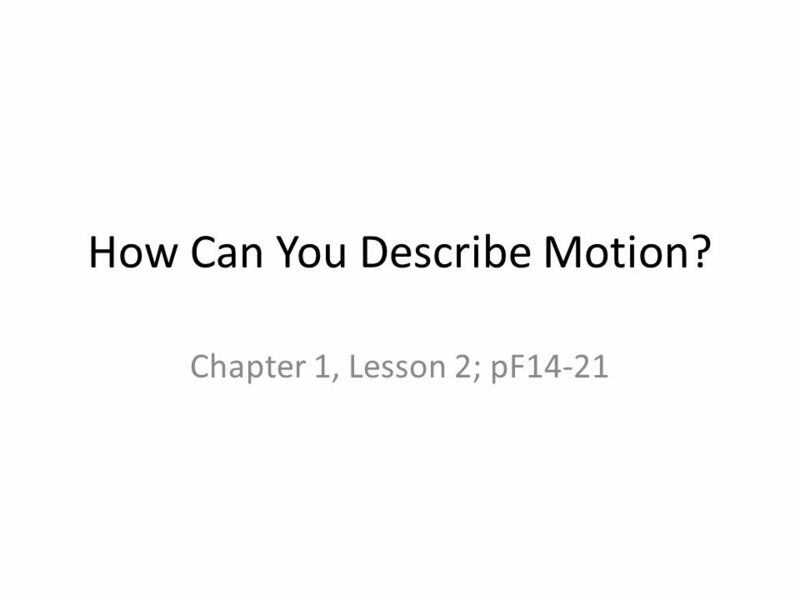 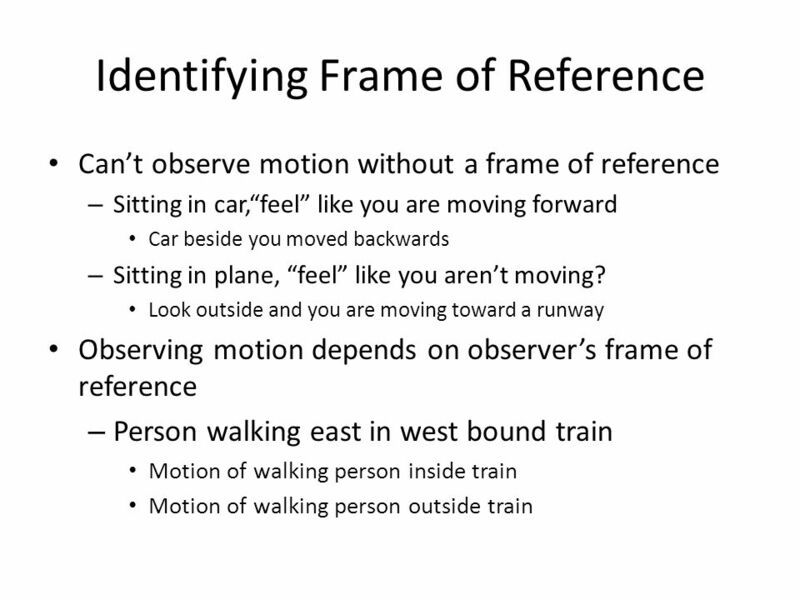 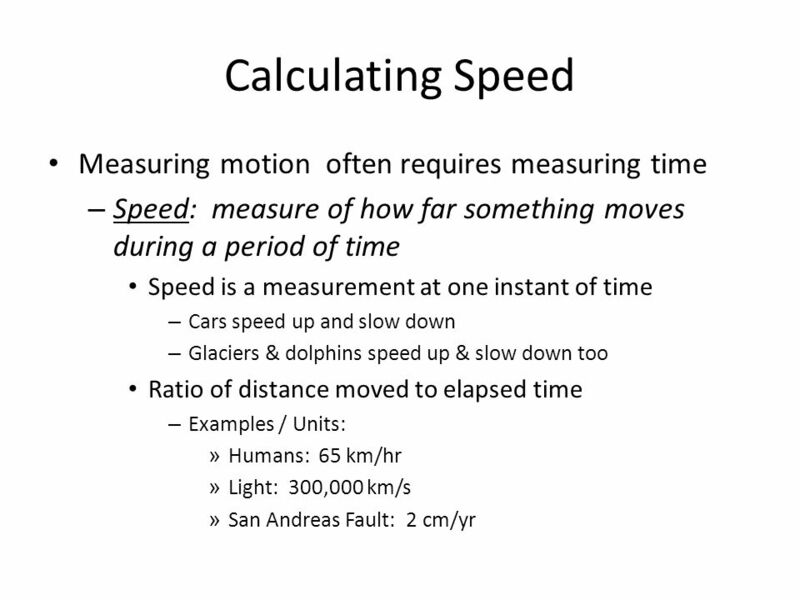 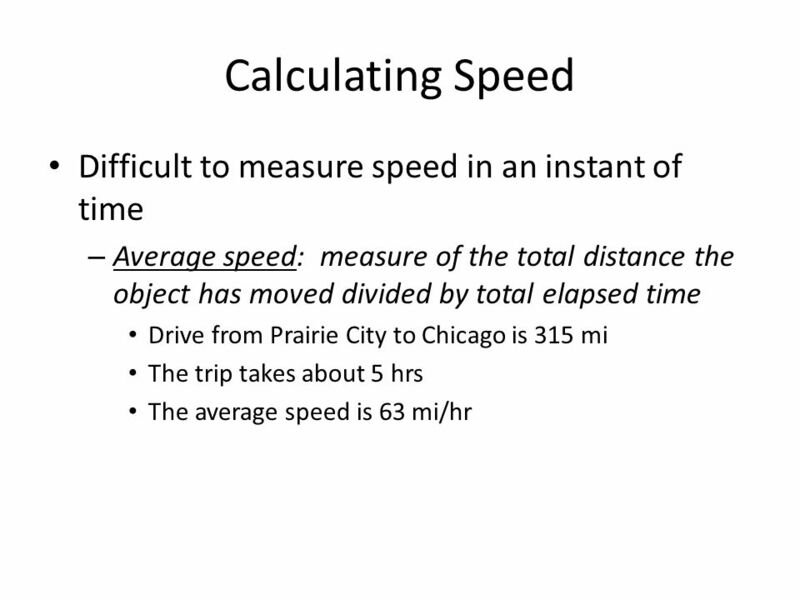 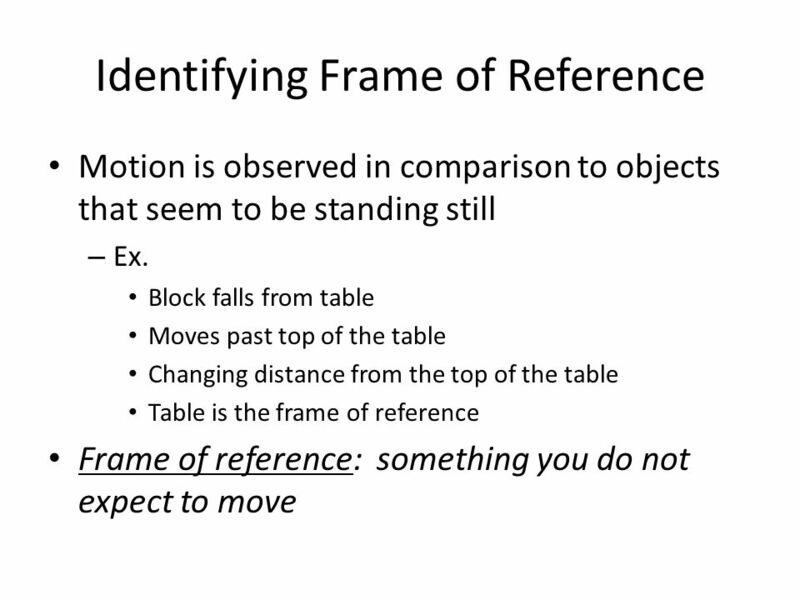 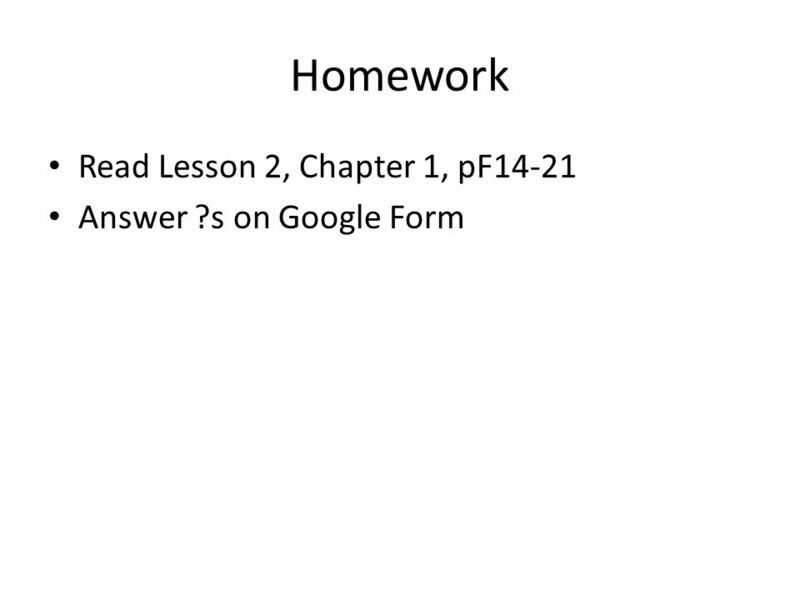 Download ppt "How Can You Describe Motion?" 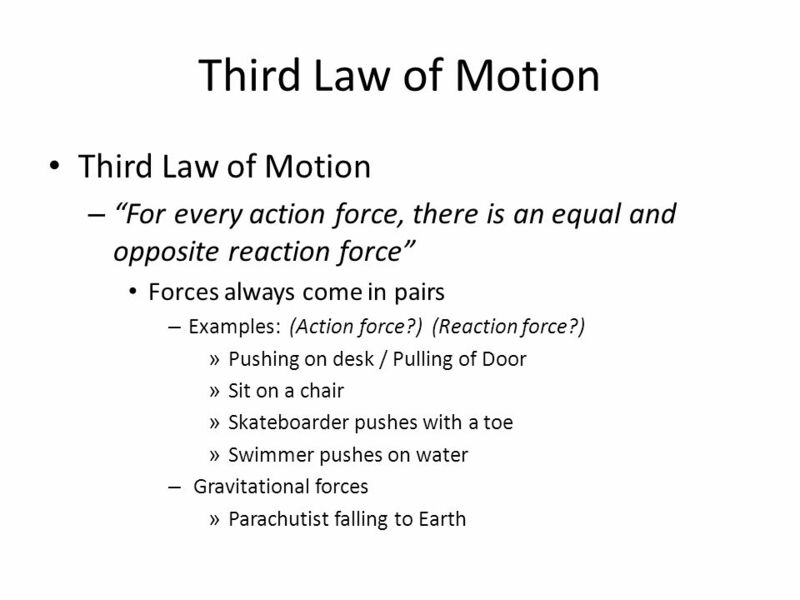 F(16-1) How do forces affect us? 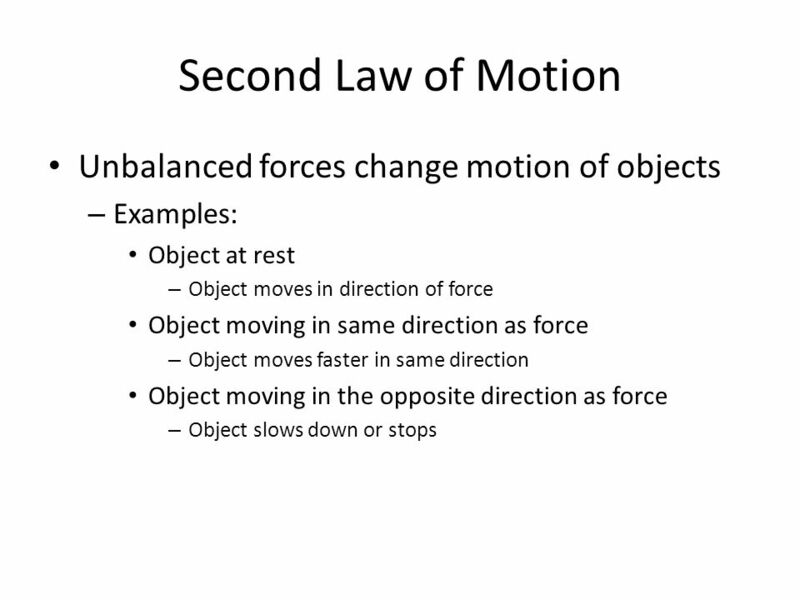 Motion - a change in position of an object, caused by an object Force – a push or a pull, caused by another object Force Can – Start Motion Stop Motion. 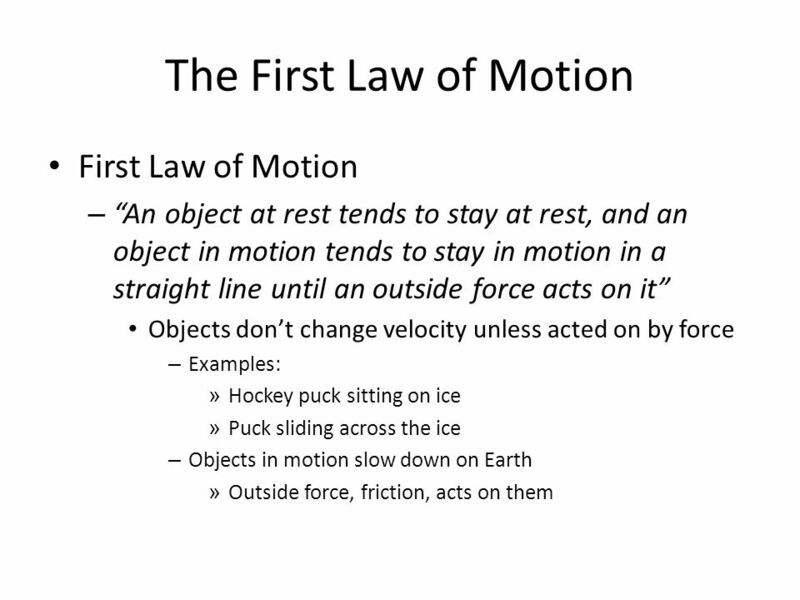 Do Now If you are sitting still in your seat on a bus that is traveling 100 km/h on a highway, is your body at rest or in motion? 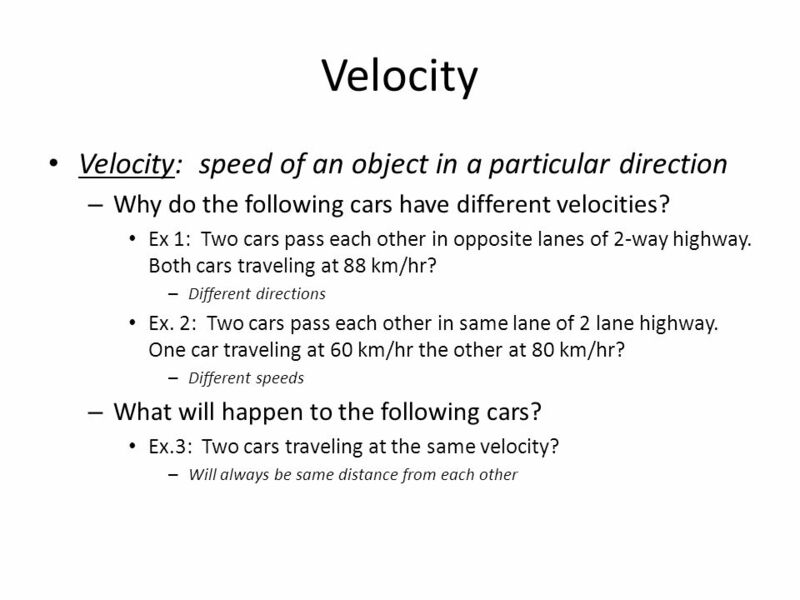 Explain your answer. 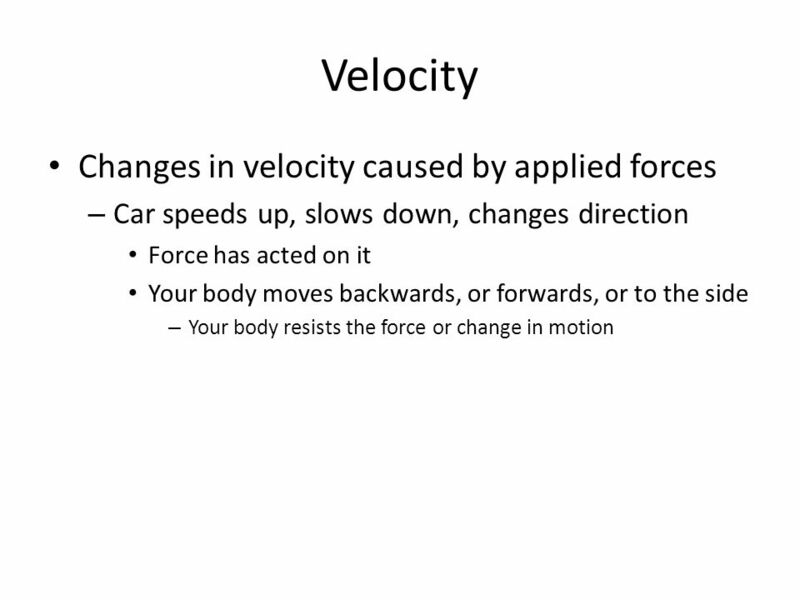 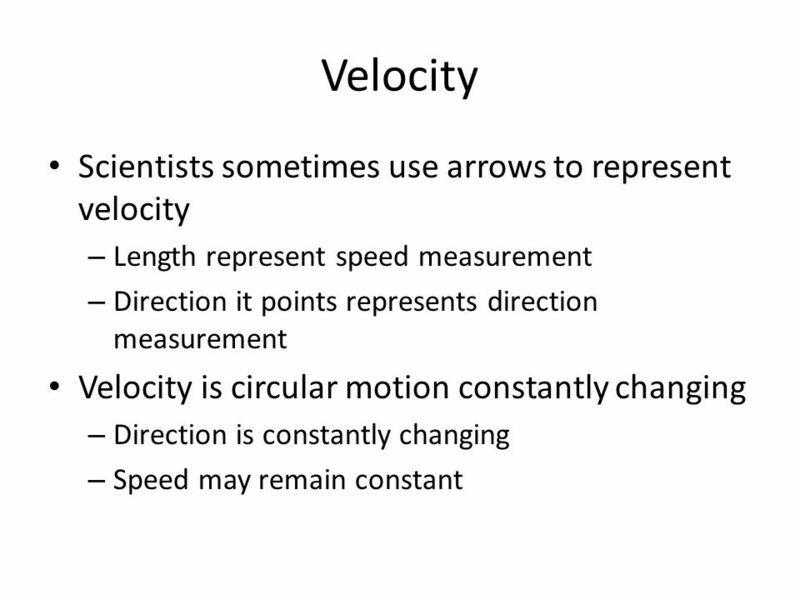 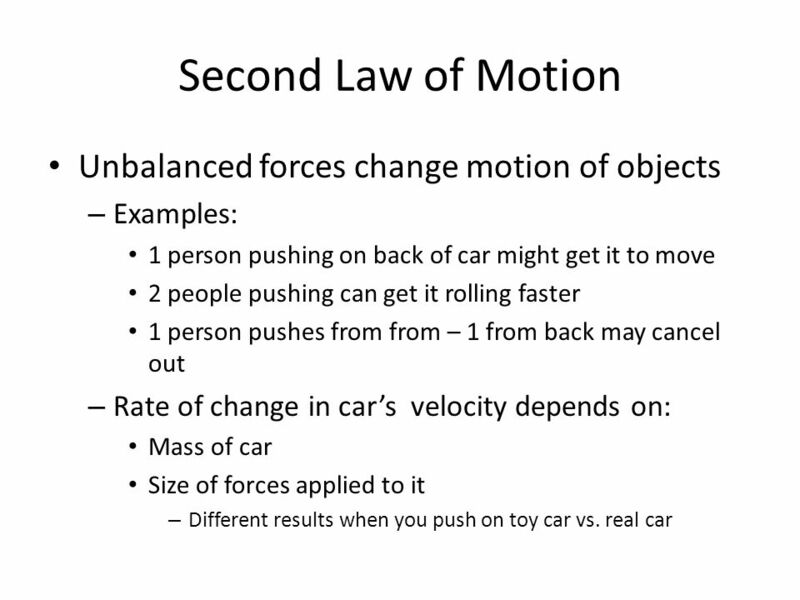 VOCABULARY to go with Lab “MOTION IN REVIEW” FORCE INERTIA VELOCITY FRICTION Newton’s first Law of Motion. 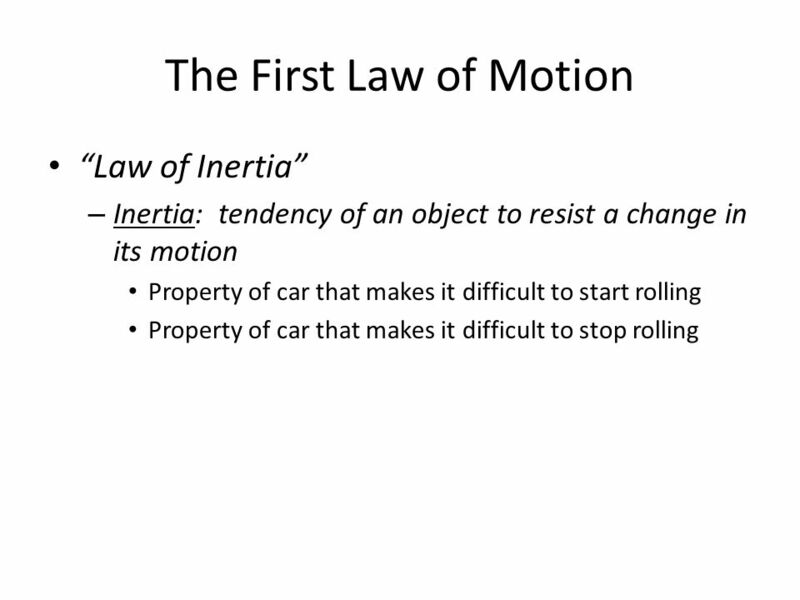 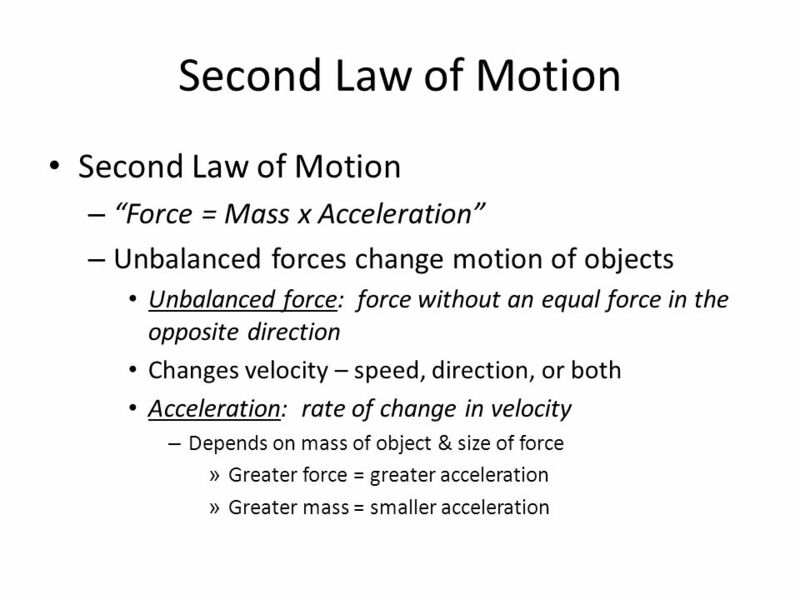 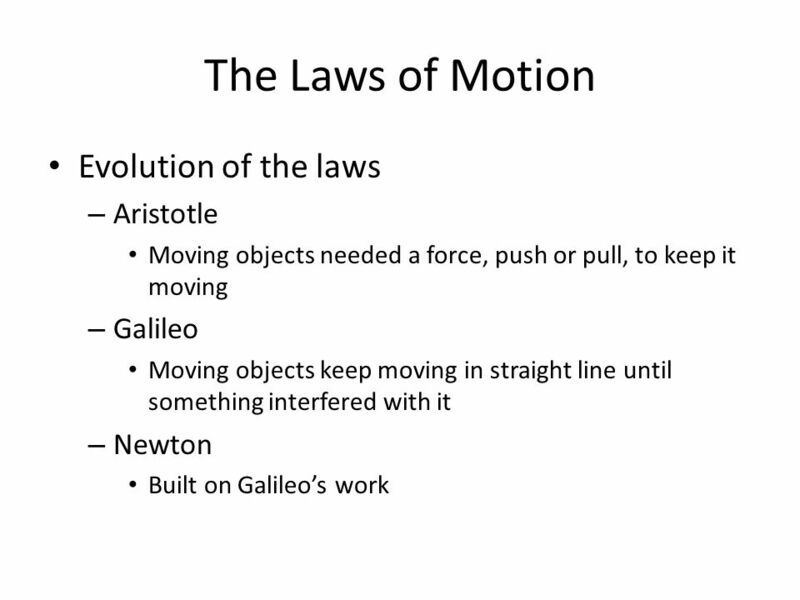 Newton’s Laws of Motion Newton’s First Law of Motion: An object at rest remains at rest and an object in motion remains in motion at constant speed and. 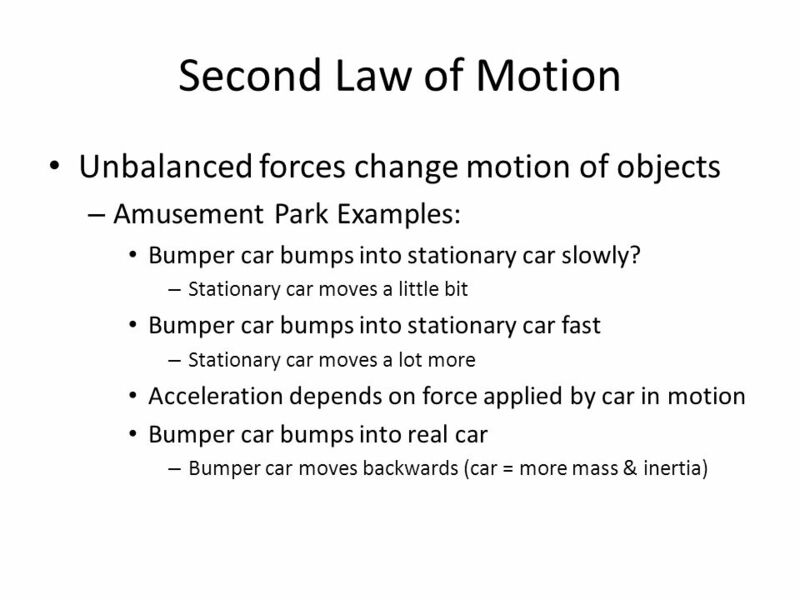 Locomotion in a physical world Most animals have some form of locomotion which separate them from plants and fungi What is motion? 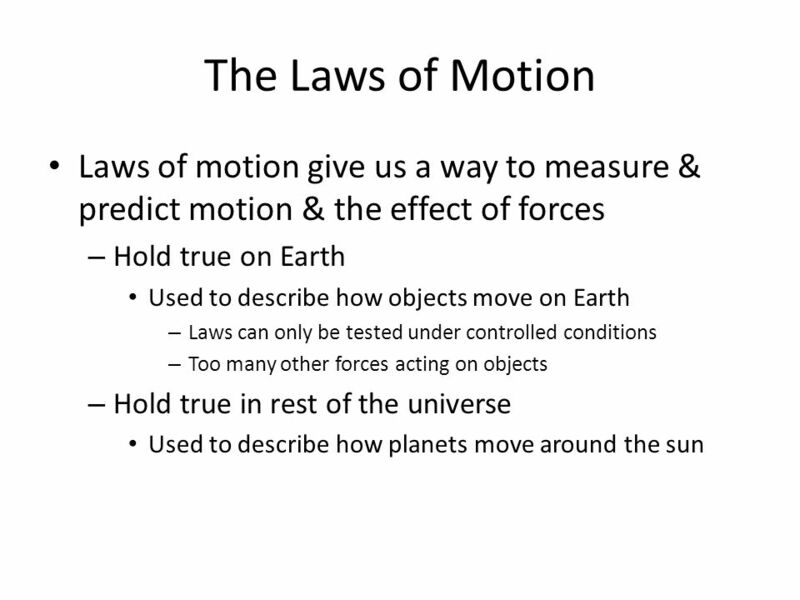 A natural event that.